For his second mission with the National Intelligence Marine Squad, (NIMS) Marvik is detailed to attend the funeral of a man who’d officially been declared dead fifty-five years earlier. So who is the imposter and why did he assume the name of a dead man? What’s more, why did he suddenly show up in a Dorset coastal town in 1989, hook up with a local fishing family, and after fathering a child, disappear in 1990? When an innocent woman is killed during the course of the investigation, Marvik realizes that the stakes are much higher than he’d previously thought. As he begins to uncover a trail of deceit, corruption and murder that spans over half a century, Marvik must confront a ruthless killer who will stop at nothing to make sure that the sins of the past stay in the past. 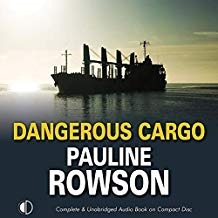 Now available as an unabridged audio book narrated by Peter Noble and published by Soundings. 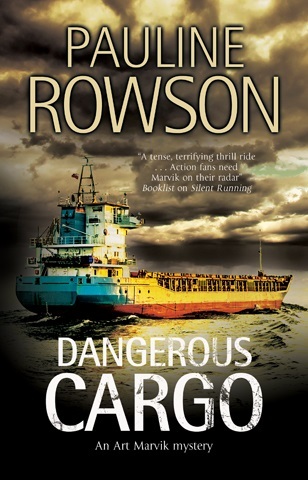 Pauline Rowson's crime novels are available from all good booksellers in paperback, as an ebook, Large Print and as unabridged audio book and for loan in libraries in the UK, Commonwealth and the USA. Silent Running, is the first Art Marvik mystery thriller.